Home > News > Land Art Design IDS 2017 booth gets shoutout on BlogTO! 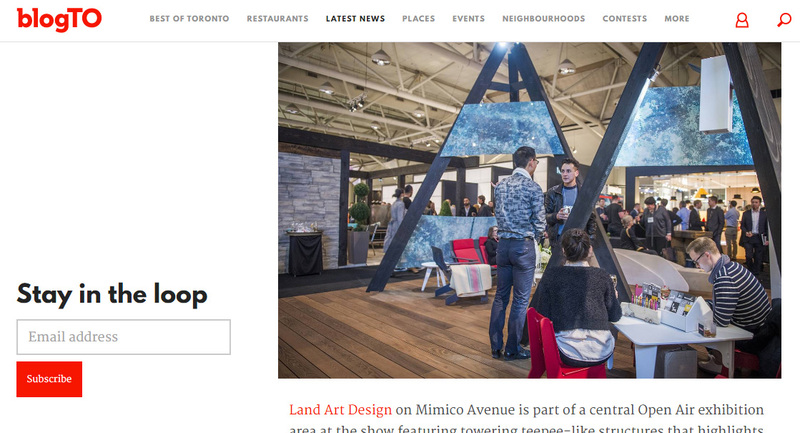 Land Art Design IDS 2017 booth gets shoutout on BlogTO! Thank you to BlogTO for the mention of our firm and Open Air exhibit on their recap of Toronto designers featured at the recent IDS show! We’re thrilled to be in a list with such great company! Click the link here to see the original post!